When we think of the word “caregiver”, there is a tendency to associate it with the staff of a nursing home, or perhaps doctors and nurses. But there are many more examples of caregivers. Each caregiver has their own specific role. In fact, it is possible that you may not even recognize some of the caregivers that exist. As long as you are involved in the direct care of a sick patient, you are a caregiver. Even pets can be caregivers. This was “Goldie”, a Goldendoodle. 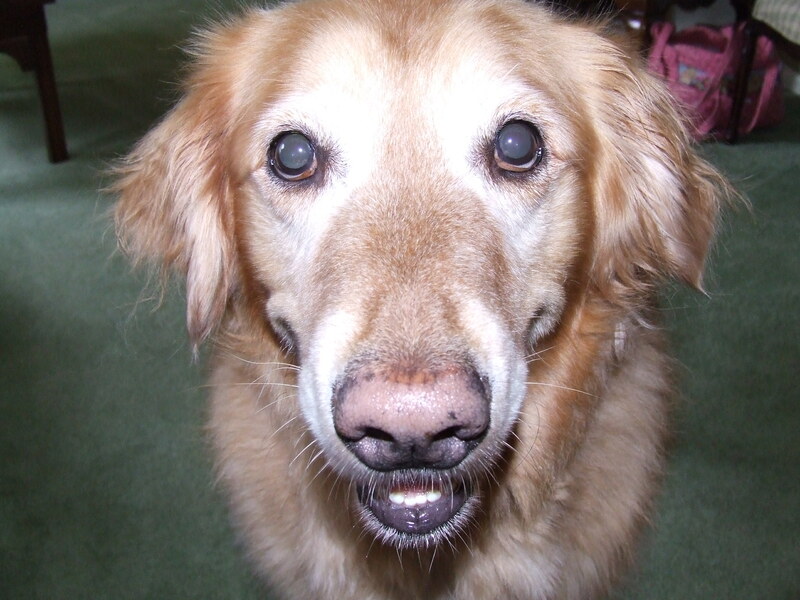 She was also a “therapy dog” who was visiting my father during his first chemotherapy treatment for lung cancer. I had my first experience with a therapy dog during an episode of aspiration pneumonia and had been hospitalized for several days. When faced with a serious illness, it is very important to take care of yourself emotionally during your health crisis. 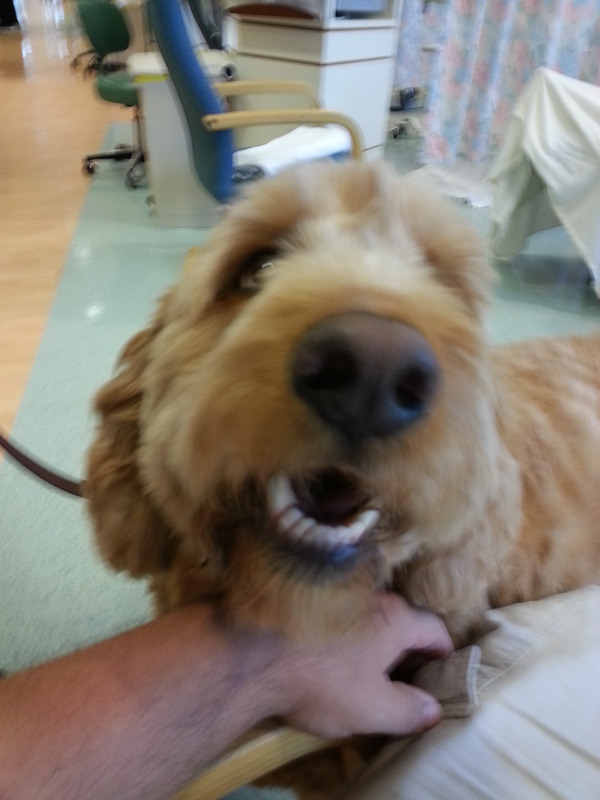 I had my first experience with pet therapy, when I went through my cancer treatment for Hodgkin’s Lymphoma. I was living in an apartment, which unfortunately did not allow dogs, but for a $25 fee, would allow a cat. And so I wasted no time in adopting a kitten, who because of her colors, I called her “Pebbles.” Pebbles would always greet me when I rushed home from my chemo appointments, with the same procedure every day. Barge in through the front door, rush right past Pebbles, straight for the bathroom, collapse on the floor and begin to vomit. Cats being curious, Pebbles placed herself in her seated pose, right at the doorway, just staring at me, kneeling beside the toilet, occasionally lifting my head from the bowl to see her staring at me. About a half hour later, I would drag myself from the bathroom to my bedroom across the hall, crawl into my bed. Pebbles would follow me, jump up onto the bed, and lay down next to me on my ex-wife’s pillow (first ex-wife). She would stay there, as if protecting me, comforting me, until my ex-wife would come home. I would not trade the fourteen years I had with my fur friend. For those fourteen years, he was healthy. There was only one drawback, he was happy staying a puppy his entire life. As far as providing therapy, it was going to be his demeanor and joy with each visitor that was going to have to be enough therapy for anyone, sick or healthy. But later in my cancer survival, he would provide that pet therapy to me when faced with my heart surgery, and other emergency situations that required recovery, he was there for me every step of the way. Gentle at the right moments, and letting me know when it was time to get back on my feet and get back to being his friend again. Needless to say, it is an amazing feeling to see those wagging tails in your darkest hours. 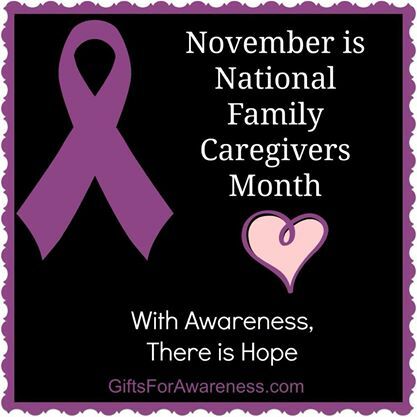 These caregivers rarely get recognized. The next obvious caregivers are the doctors, nurses, technicians, and therapists. I will do a post on their importance of caregiving later on, though their value goes without saying. But the next caregivers that I want to talk about, are the ones who simply get thrown into that role. 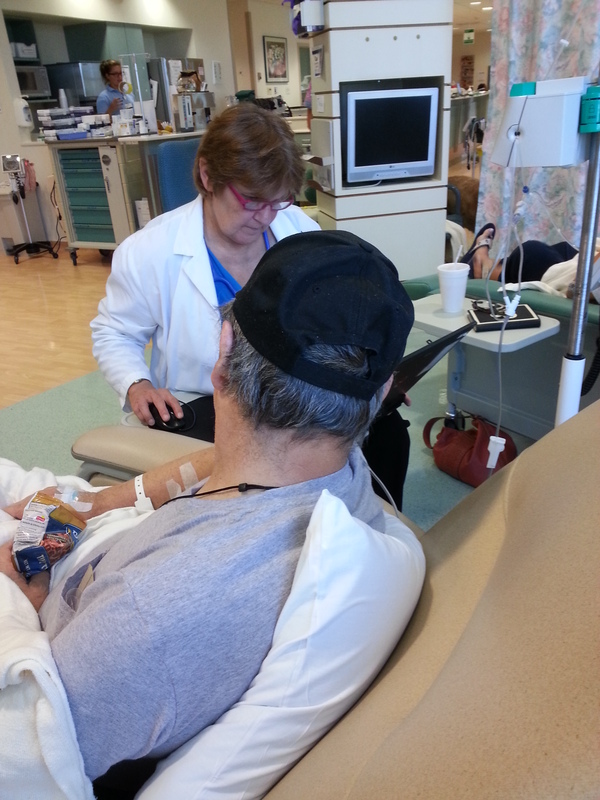 Years ago, when I completed my treatments, I made the decision that I wanted to “give back” in some way, for all the support I got going through my cancer journey. I got certified as a peer to peer counselor with the American Cancer Society in a program called “Cansurmount.” This program matched counselors to patients, cancer to cancer. Unfortunately, it was a program that struggled to survive itself, falling short of volunteers, and I would end up counseling patients with many other cancers. But you do not have to be “certified” to be a caregiver. Simply being there with a ride to transport for treatment, accompanying to a doctor visit, or just sitting and keeping the patient company classifies you as a caregiver. Anything that makes the patient feel better, giving them comfort, shows that you care. You are giving care. And you make a difference. You do not have to be an immediate family member. You can be a parent, a sibling, a cousin, spouse, friend, a neighbor, or even just a stranger. Depending on the need, the caregiver level has the potential to get quite involved. And it is here, that the caregiver themselves need to make sure that they are taking care of themselves. It is very easy to get overwhelmed with their own emotions and physical being depending on the level of commitment. Hospice workers are one example of the importance of caregiving. In a patient’s end of days, hospice plays a major role in making sure that not only is the patient comfortable, but also, the family is having their emotional needs met. 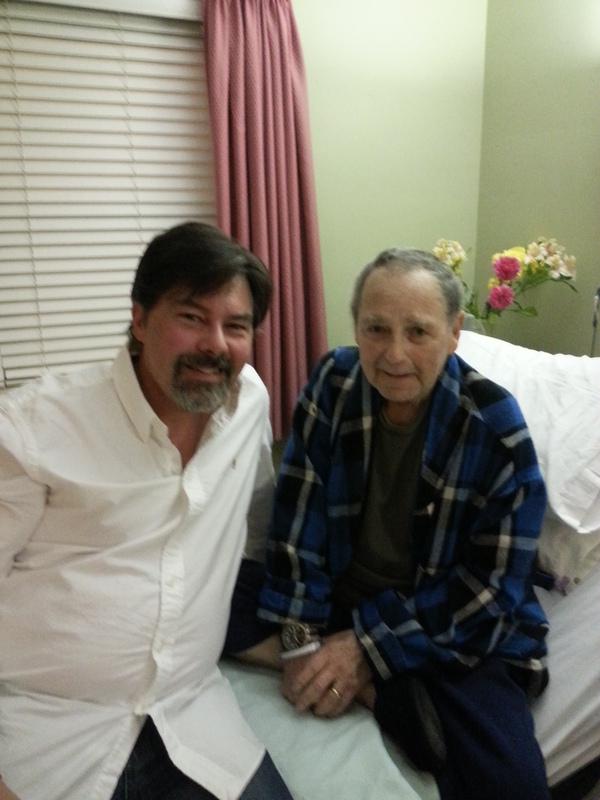 I had my first personal experience with hospice as my father passed away from lung cancer earlier this year. Months later after his passing, they still call me to see how I am doing. I tell them that I miss my dad very much, but I am doing okay. I have had over twenty years as a counselor, and feel that I have a fairly good grip on my emotional needs. I could not do that for my dad. I was powerless to stop and cure the cancer that would take his life. But what I could do for him, as the cancer spread, was make sure that his wishes were followed to the letter. It was difficult for me to make a decision, that selfishly I might not have agreed with, but was what my dad wanted. And as the cancer cells spread to his brain, and took away his decision-making ability, my decisions made were even more critical. I had to make sure my dad was comfortable, all the while making sure that his wishes of no extraordinary measures to keep him alive, suffering. My dad trusted me that I would be able to separate my emotions from the task that he asked of me. Caregivers come in all forms, and carry out all kinds of functions. But without them, professional or familial, a patient’s journey would be even more difficult to get through.